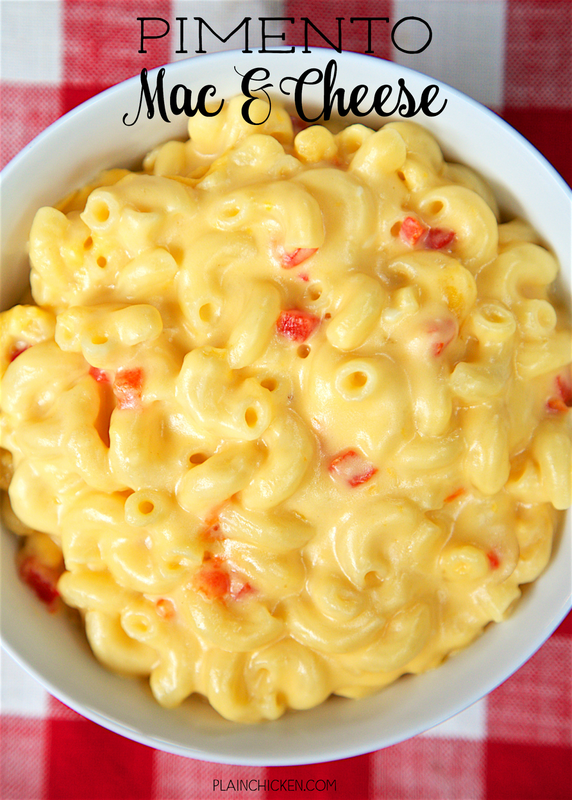 Pimento Mac & Cheese - copycat recipe from Hattie B's Hot Chicken in Nashville. This stuff is SO good! Super creamy and delicious. Tastes just like the original! Great for a cookout! We are HUGE fans of Nashville Hot Chicken. We always hit up Hattie B's when we are in town. I am SUPER excited that Hattie B's has opened up a location here in Birmingham. Hattie B-Ham! We will be there at least once a month of our hot chicken fix. In addition to the hot chicken, Hattie B's has fantastic side dishes. I've shared their Black Eyed Pea Salad - (link) - it is great as a side dish or even as a dip with some chips. 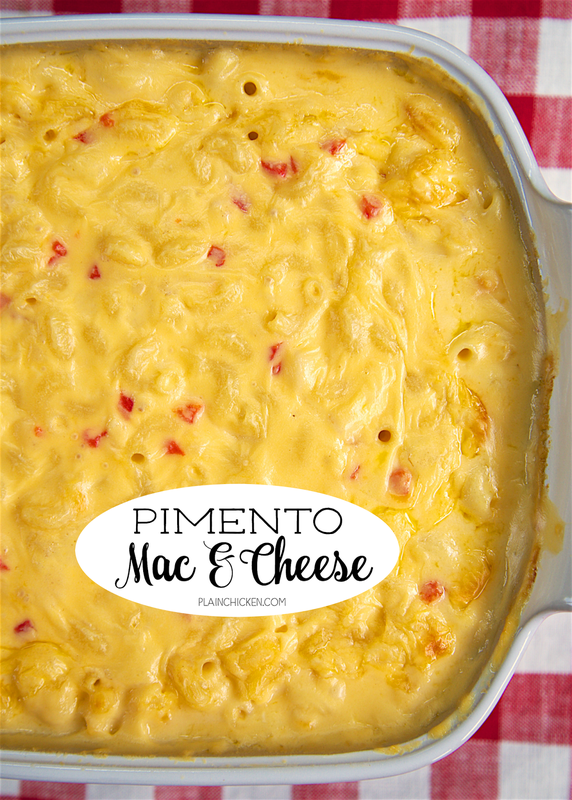 I ran across a recipe for their Pimento Mac & Cheese and had to give it a try. OMG! This tastes just like the original. SO creamy and delicious! It only takes a few minutes to make and it tastes so good. I could eat this as my meal! We served this with some chicken (of course), but it goes great with everything - burgers, hot dogs, steaks, pork. We've made this several time and just can't get enough of it! Preheat oven to 350ºF. Lightly spray an 8x8-inch pan with cooking spray. Set aside. Melt butter in a small saucepan. Add flour, whisk well. Cook 5 minutes. Slowly whisk in milk, whisking until smooth and thickened, about 5 minutes. Remove from heat; add red pepper, salt, black pepper, 1-1/2 cups cheese and pimentos to sauce and whisk until cheese is melted. 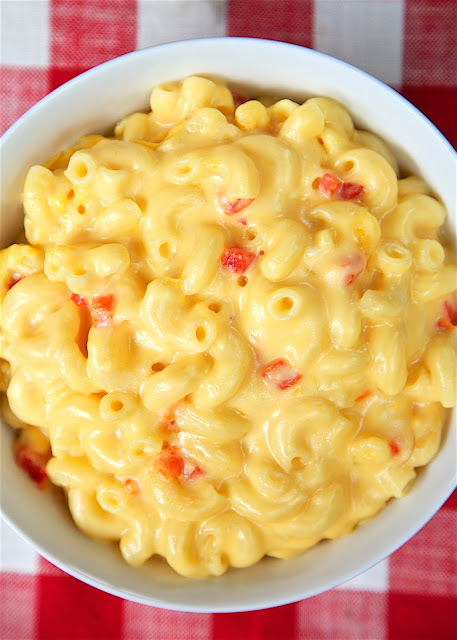 Combine pasta and sauce and spoon into prepared baking dish. Cover with foil and bake 40 minutes. Remove from heat, stir, sprinkle with remaining 1/2 cup of cheese and return to oven for 5 minutes. OH man this looks good! 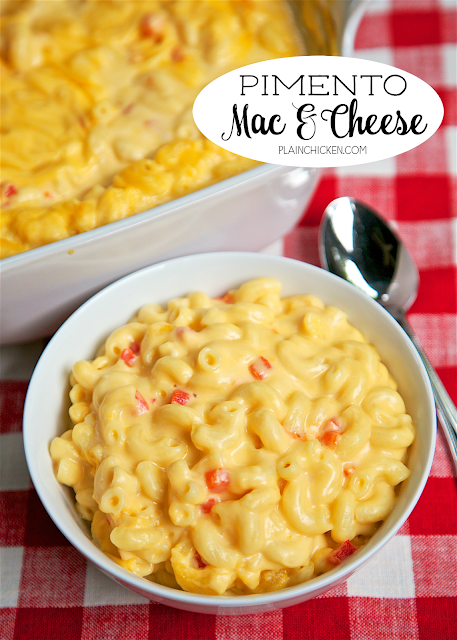 I made pimento mac and cheese for a BBQ cookoff and used mayo. It was so greasy. This looks like such a winner without mayo! 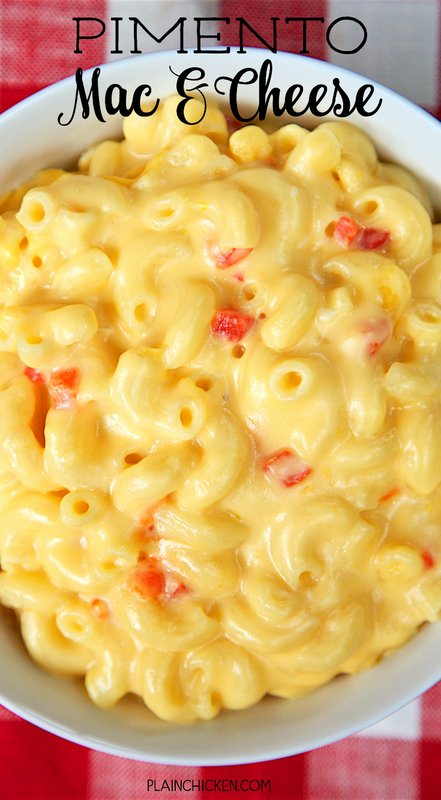 Do you think you could do this with premade pimento cheese? Not sure how it would turn out with the mayonnaise in it. You can certainly try it. Let us know how it turns out. The milk mixture never really thickened for me. I looked at some other websites with "Hattie B's" recipe and they all had 1/2 cups of flour instead of 3 tbsps. A 1/2 cup of flour would be WAY too much. You typically want approximately equal parts Butter and flour when making a cheese sauce. You might try cooking the mixture longer or increasing the flour to 4 tablespoons. I highly discourage you from using 1/2 cup, but it is your kitchen and you can do whatever you want. My cheese sauce didn't thicken either. I'm sure it's operator error. What heat are you using? Medium high? Does it matter if the milk is 2%? I usually use whole milk or 2% - just depending on what is in the fridge. Cook it on medium-high heat.